Actually was trying to photograph one of my honey bees but I was too slow and he was too fast. Lots of pollinators buzzing about. 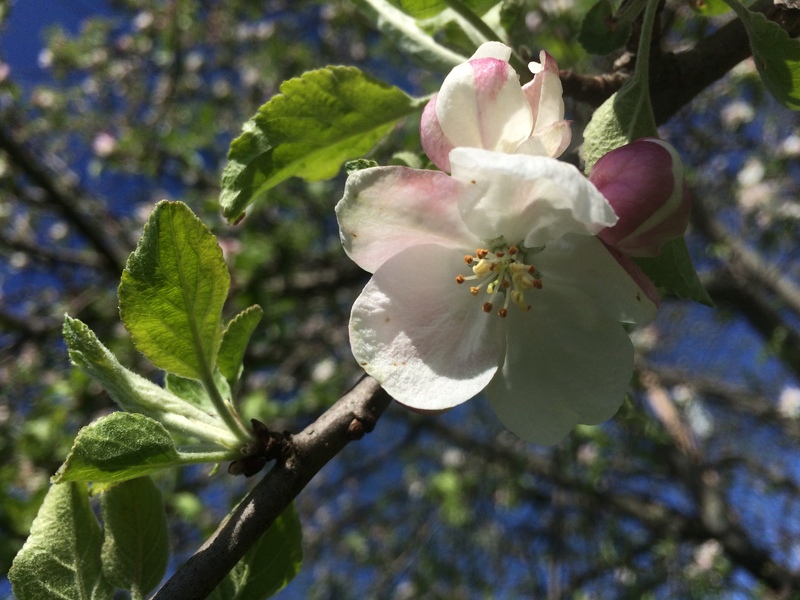 Still, the apple blossom is pretty.